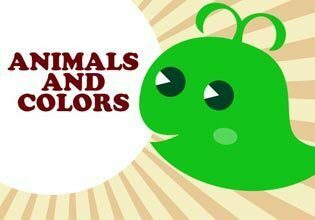 Animals and Colors is a charming free online brain game that offers plenty of challenge and family fun. Friendly animals are displayed on screen in a whole slew of varying colors, right alongside a question. You must pay attention and answer correctly as fast as you can. The game calls for you to match the animal, or even match the colors on screen. It's like the age old memory game where you have to recall pictures, only with cute little animals instead. At the conclusion, this online puzzle game will tell you how fast your total reaction time is. What are you waiting for? Get out there and play so you can get some brain exercise.